One of the sessions at a writer’s conference I attended was set up like an episode of American Idol. Three New York agents played the part of the judges. Instead of performers, typed sheets of paper were the objects of their attention and wounding remarks. Conference participants submitted the first three pages of the novels they were working on. The agents said they would be able to tell from the first three pages whether or not the manuscript was worth reading further. In practice, none of the agents got past the first page of any 3-page submission. Some they read to the bottom of the first page, but then they started rejecting them before they got that far. “Starts with a prologue!” Toss. Then there was the submission that got tossed because the title had a misspelled word in it. “If this writer can’t bother to spell cemetery correctly–in the title, no less–why should I go any further with the rest of the manuscript? !” Crumple, toss. That little demonstration makes me think that a writer must hook the reader with the first paragraph. Possibly even with the first sentence. Yes, there are plenty of successful novels that begin with prologues or weather, or dialogue. There’s probably at least one that begins in an elevator. Agents have so many manuscripts coming at them that they develop reading habits to enable them to get through the slush at top speed. Anything–a misspelled word, faint type from a failing ink cartridge, an opening device the agent feels a personal dislike for–can send a manuscript plummeting into the waste basket. Agents want what readers want. Readers want a first paragraph that draws them into a world that already exists, not one that will be created as they go along. They want to find themselves in the midst of people who are involved in the life of that world, people they immediately want to know more about. Here are some opening lines from some novels chosen at random from my shelves. Would you want to read further? If so, why? (Diary format) 12th Day of September. I am commanded to write an account of my days: I am bit by fleas and plagued by family. That is all there is to say. —-Catherine, Called Birdy, Karen Cushman. Mother died today. Or, maybe, yesterday; I can’t be sure. —-The Stranger, Albert Camus. When the power went I was finishing a ten-page report. My office turned black; the computer groaned to a halt. Helpless, I watched my words fade to a ghostly outline that glowed on the screen before vanishing, like the mocking grin of a Cheshire cat. —-Tunnel Vision, Sara Paretsky. The small boys came early to the hanging. —-Pillars of the Earth, Ken Follett. Renowned curator Jacques Saunière staggered through the vaulted archway of the museum’s Grand Gallery. —-The DaVinci Code, Dan Brown. The early summer sky was the color of cat vomit. —-Uglies, Scott Westerfeld. The first page of my novel is by far the shortest, but took the longest to write and underwent the most changes. There’s no doubt about it, first impressions are vital and a good opening paragraph, whatever you’re writing, should set the toe for what’s to come. And then I guess that’s the real challenge. Making sure the rest is just as good. But that’s probably a different blog post! ps. I’ve just published a post that references, bizarrely, Dancing With the Stars. I was *this* close to choosing American Idol, as well. What are the chances? I’m not entirely sure that the panel of this conference was being entirely serious. I understand that there are many painful cliches that make a manuscript immediately undesirable to an editor, but the choice of the word “cemetery” made me think immediately of Stephen King’s novel Pet Sematary, where the obvious word is deliberately misspelled. I can’t help but wonder whether this is a coincidence or whether the panel was being slightly ironic, maybe pointing out that no matter what you do and how good your first page is, many editors will reject you based on their own personal opinions on “good” writing. Great food for thought – although it now makes me want to rethink every post I ever wrote! And by the way, I don’t know about anyone else, but that last one makes me want to, er, toss! I hope they asked if it was misspelled on purpose first. “Pet Semetary” anyone? I would read any of the suggestions you list – or any book – for the first 20+ pages. That just seems fair. Weren’t the agents literally judging a book by it’s cover? Agents are the reason self-publishing is getting traction. I hope soon we are reading about the death of publishing houses. There are a lot of narrow thinking agents out there and judging by the books I quit reading within the first 40 pages, perhaps they are over-estimating their ability to pick stories readers want to read. The Pillars of the Earth? Starts out strong but it doesn’t take long to realize it is a soap opera with a medieval setting. Doesn’t live up to the first book at all. The Da Vinci Code? A good example of a great story idea and a so-so writer. Catherine, called Birdy has amazing voice and beats the crap out of Pillars frankly. And The Stranger is an excellent example too. But why should I trust agents who toss out cliches at conferences? A good writer with a good story can hook you using any of those forbidden first sentences. It’s not about arbitrary do/don’ts. 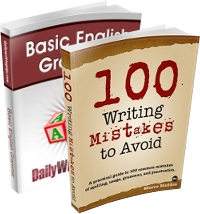 The writing should be able to overcome first line prejudice. So really, it’s about not having a compelling story or not being as good a writer as you think you are. Funny, when I pick up a book I open it to the middle and read a paragraph, then do it again in another section. If it interests me, then I look at the first page. I have slogged through first chapters of tedium and blah to discover a rich story line and characters. But then, I ‘ve also read books with terrific beginnings that just fade out and never revive. There is no guarantee that the beginning fortells the middle and end. I guess I haven’t been keeping up with how publishing houses are dying. – Houghton Mifflin and Harcourt – freeze on buying manuscripts. So who do these agents think they are kidding? My nose is running like Niagara Falls, my guts are flowing faster than the Mississippi so I guess this is the start of flu season 2008! 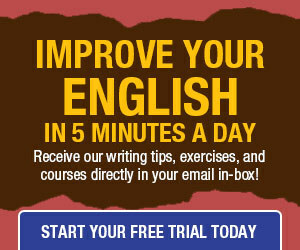 I am looking forward to getting daily writing tips. I need to spend some time out of the bathroom! I actually like the Pillars of the Earth line. It raises a lot of questions (who and why is someone being hanged) and immediately establishes a time frame (hangings with public audiences are not exactly modern things outside of 3rd world countries). @annie: I believe you’re confusing World Without End (the sequel) with Pillars of the Earth (the original). Not that it’s hard to do, because they are The. Exact. Same. Book. One just happens to be set 200 years after the other, but the plot, characters, themes, setting, and so much more are just rehashes of the PotE. It’s one thing where you have a sequel that expands on the original. As an example, take Star Wars’ The Empire Strikes Back versus A New Hope. Empire takes the original characters set up in ANH and weaves all new plots for them and builds settings and arcs we haven’t seen before. It’s truly a sequel. Imagine if Empire Strikes Back had the same plot as A New Hope, but was just populated with Han, Leia, and Luke’s great-grandkids. Han and Leia’s offspring act just like them and Luke’s act just like Luke. The villain is played by someone who looks, acts, and fights just like Vader, but has a different name. And there you have it – the Star Wars version of World Without End. So boring and so predictable. How’s this for ending the first page? I’ve never had trouble writing the first page; it’s kinda wierd considering how everyone else does. “God, i hate parties” i moaned in the bar stool as the mind melting music slashed its way threw my aching mind….